UNT’s Wooten Hall is getting a safety update to bring the building up to code and make it safer for students, the project manager said. The project — which began at the end of last spring semester — is slated for a december completion and will cost about $4.8 million. “We are installing a new fire sprinkler system throughout the entire building, constructing a new fire exit stairway near the café and adding smoke barrier walls that will be at the open atrium stairwell,” project manager Kim Nguyen said. The updates were necessary to make the 88,794 square-foot building a safe environment for students and faculty to learn and teach in, Nguyen said. Along with necessary safety features, Wooten Hall will also receive improvements in order to create a more modern and bright environment. Wooten Hall classrooms will be updated with the addition of converting tablet arms to desks and chairs, installing of new ceilings, painting and replacing flooring and installing new glass boards for lecture and study purposes. Nguyen said there will be additional new furniture added to the classrooms and lobbies of Wooten. Students may experience classroom closures sporadically until the construction is complete. Construction on the building will take place at night from 8:30 p.m to 5 a.m. — as well as certain weekend days — to avoid conflicting with classes this semester, Wotten Hall building represenative Cece Hannah said. this is a one-time project that will last the building a lifetime with new updates and safety features. The biggest change for students is how space will be utilizedin Wooten Hall, as well as the edition of a new wall. The goal of the project is to help provide a safer and more modern environment for students and faculty. 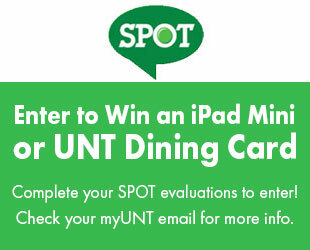 Nguyen said the project is also working toward improving UNT’s carbon footprint. “We are upgrading the building’s energy footprint and sustainability by updating all corridor and classroom lighting to LED bulbs,” Nguyen said. 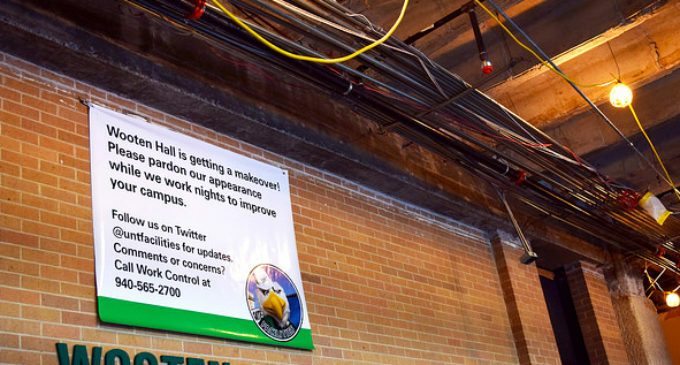 Some students are excited about UNT‘s dedication to creating an attractive look to buildings on campus and ensuring that safety measures are taken. “I definitely enjoy knowing that older buildings on campus are getting updates to provide students with safe and more up-to-date environments to learn in,” pre-business sophomore Levi Fisher said. Some students believe that the updated buildings will make a big improvment to the campus. “I think that it’s great that UNT is dedicated to improving its surroundings in a way that is still safe for students,” english and media arts sophomore Amani Sodiq-odunaiya said. Wooten Hall was built in the 1970s, and UNT staff has been waiting for an upgrade for awhile to make the building look on par with other buildings. “We do notice small signs of improvement, and perhaps before spring semester begins we will no longer be adversely affected and/or embarrassed by the physical condition of Wooten Hall,” Hannah said. If students or faculty have any questions or concerns about the construction while it’s taking place they can contact Facilities Work Control at 940-565-2700. To stay up to date with the construction going on at Wooten and around campus, you can follow UNT facilities on Facebook and Twitter.